The White House hasn't held a single briefing during the government shutdown. White House press secretary Sarah Sanders spent most of Thursday afternoon stepping in and out of her private office to field questions from reporters huddled in the hallway, seeking more answers on the president’s surprise letter denying House Speaker Nancy Pelosi use of military aircraft for her congressional delegation overseas. The crowding of the West Wing hallway, in what is known as 'upper press,' has become the new norm for reporters seeking information or comment from the White House on major headlines over the past 35 days – a record for the span of time without an on-camera briefing during President Donald Trump’s time in office. (Chip Somodevilla/Getty Images) White House Press Secretary Sarah Huckabee Sanders calls on reporters during a news conference at the White House, Sept. 10, 2018, in Washington, DC. 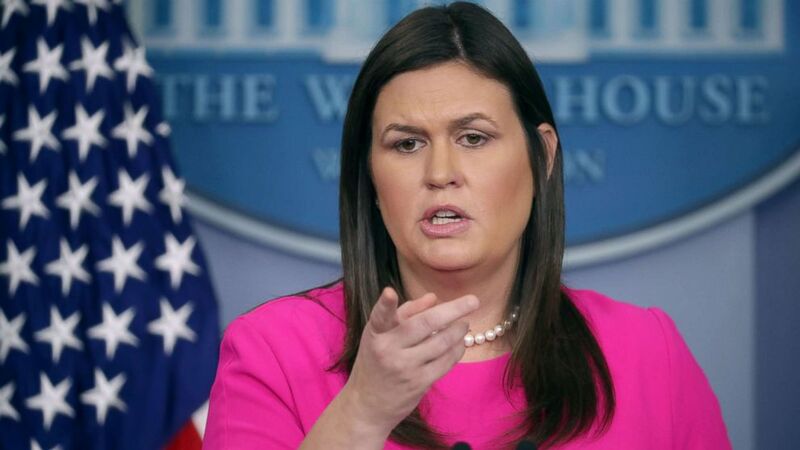 Sanders has not briefed once yet in 2019, and has broken the previous Trump White House record for no press briefings set between Oct. 29 and Nov. 27 last year, a 29-day period during the fall where the 'disappearing' press briefing seemed to enter the 'endangered species' territory. The Trump White House has not only lapsed its own personal record for the span of time with no press briefings – according to the University of California Santa Barbara’s American Presidency Project, Sanders has also surpassed the all-time record for time with no on-camera briefings since they began during the Clinton administration. Two weeks ago, reporters were informed via an overhead announcement that Sanders would be holding her first briefing of the year. But instead, the president entered the briefing room for the first time. He then refused to take any questions after delivering a statement on border security surrounded by various Customs and Border Patrol agents. (Evan Vucci/AP) White House press secretary Sarah Huckabee Sanders talks with reporters outside the White House, Dec. 18, 2018. In Sanders' most recent briefing on Dec. 18, the leading headlines involved the president moving forward with his ban on bump stocks and the delay in the sentencing for his former national security adviser Michael Flynn. She claimed at the time that the White House was actively finding ways to fund the president’s border wall from outside agencies and signaled to Congress that the president would accept a continuing resolution to keep the government open that did not include wall money. It was the next day that the White House announced Trump wouldn't accept any funding bill without money for a wall, setting the stage for the partial government shutdown that has roiled Washington the past 28 days and left 800,000 government employees either working without pay or furloughed. Other major stories in the 31-day span with no briefings have included the departure of the White House chief of staff, the resignation of the defense secretary, the sudden announcement of the withdrawal of U.S. troops from Syria and other major headlines in the Russia investigation. In contrast, former Obama White House press secretary Jay Carney held 10 daily briefings with reporters through the 17-day government shutdown in 2013, in addition to a more than hour-long press conference held by former President Obama in the White House briefing room. In order to receive comment on news-of-day stories from the White House as daily briefings have phased out, reporters often reach out over email or walk up to the press office to seek comment from officials in person. The only on-camera opportunities for reporters to question White House officials have come when they gather on the driveway in front of the West Wing to conduct short gaggles with Sanders, White House counselor Kellyanne Conway and deputy press secretary Hogan Gidley following their appearances on cable networks, predominantly Fox News. 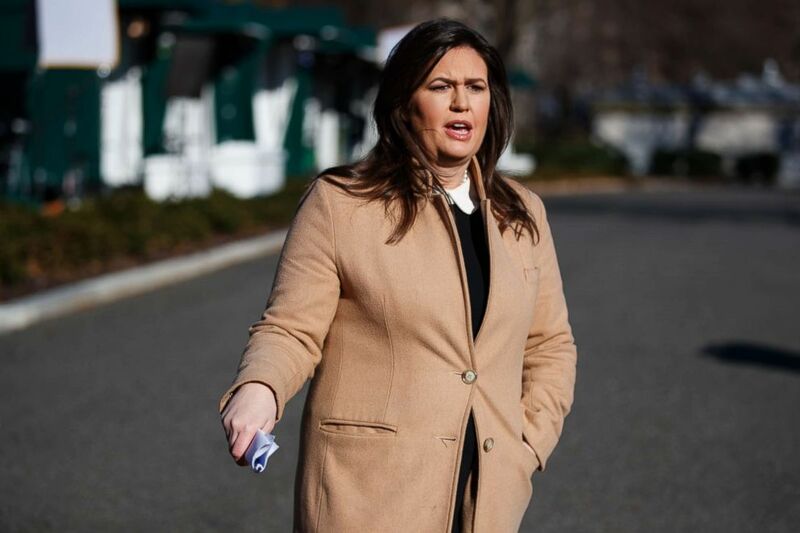 Sanders, for example, most recently spoke to reporters in a driveway question-and-answer session Friday for less than four minutes after a pre-taped interview with Fox News, where she took questions on North Korea, the government shutdown and the president's former personal lawyer Michael Cohen, among other topics. Sanders declined to comment on this story. The trend of fewer briefings is in sharp contrast to President Trump’s own frequent engagements with reporters. 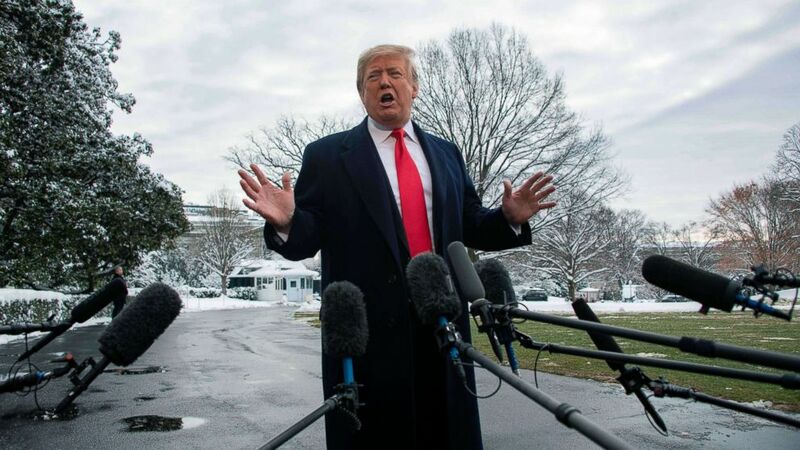 According to data compiled by presidential press scholar Martha Kumar, Trump is well on track to become the most “accessible” president based on statistics dating back to the time of Ronald Reagan. The measure is based on the total number of interviews, short Q&As and news conferences he has held compared to his predecessors. According to the UCSB presidency project, "the length of time between briefings is longer than any of the preceding 13 press secretaries." But that access has been effectively traded off with the growing absence of daily briefings, which previous administrations dating back to the Clinton administration generally utilized to offer official responses to major stories, as well as to transmit some of the more mundane and process-oriented messaging in specific policy areas. It allowed reporters from outlets around the world and in different coverage areas to press the White House on its positions, and ask questions that wouldn't typically be put to the president. ABC's Jordyn Phelps contributed to this report.